Restaurant Review: Bostan | Mehta Kya Kehta? 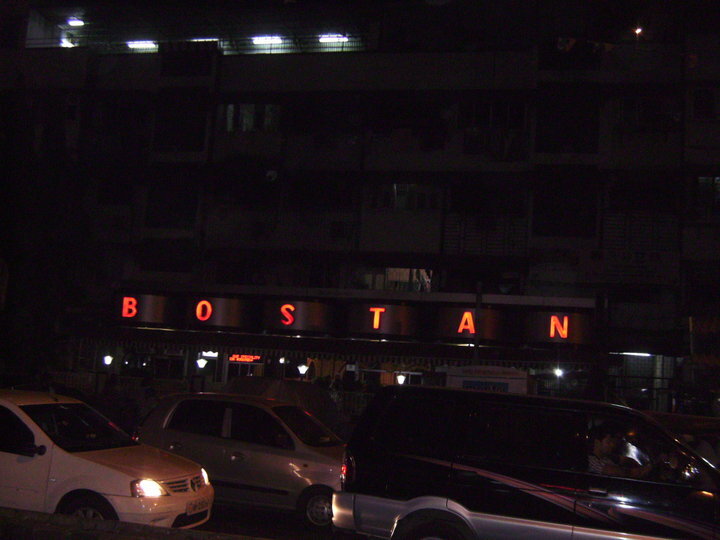 Bostan means “The Orchard” and is the name of a Moghlai restaurant in Jogeshwari West on SV Road. I’m guessing it has been named after the book by the famous Persian poet Saadi, as there used to be a restaurant called Gulistan (“The Rose Garden”, another book by Saadi) on SV Road in Santa Cruz. Bostan has a cult following thanks to its Butter Chicken and Tandoori Chicken (which isn’t always good) and is no place for vegetarians. 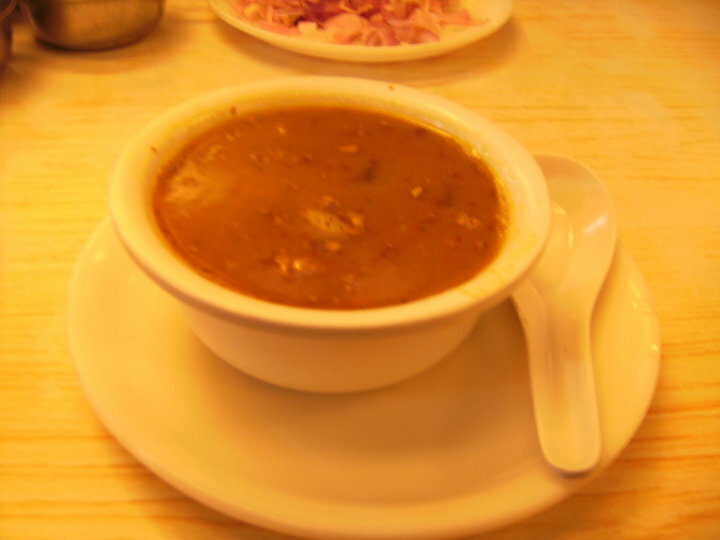 The first thing you have to have at Bostan is the Mutton Soup, which has lots of garlic and ginger and strips of mutton. This nutritious soup will open up passages you didn’t know existed. Avoid the biryani and pulav; the rice dishes used to be great but not a lot of effort goes into preparing them these days. Stick to the gravies and you can’t go wrong. 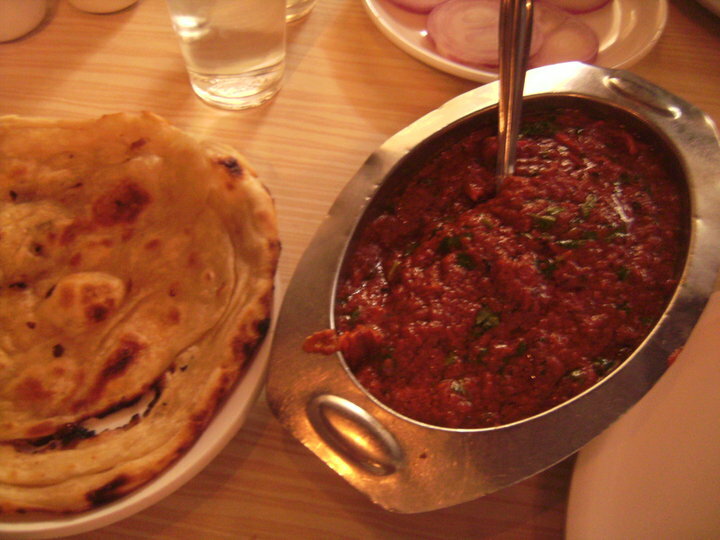 I heartily recommend Mutton Green Masala (it’s boneless) and of course, Butter Chicken. The butter chicken here is red (and not orange like at most other eateries) and finger-licking delicious. I’ll go as far to say it’s the best butter chicken I’ve had. Also, don’t miss their chai after your meal. The old menu had some absurd rules like “do not play transistor”, “do not comb”, “do not flurte [sic] with companion”, and “do not sit for long time.” The last one means you have to leave in 15-20 minutes irrespective of whether your food has arrived or not. Kidding. Go to Bostan. This one is an old favorite. Respect! i wanna butcher 1 waiter who wrks thre. Othr 2 waiters ‘james’ n ‘mukesh’ wre the best. Unfortunately they dnt wrk thre any mo. The waiter you want to butcher looks like Prakash Jha. yup, the waiters are very dicourteous. Great place to go if you are looking for filling food, quick service and don’t like McD trash. I do want to go again. For the mutton soup mostly. “do not flurte with companion” – so cute! !